"With the exhibition Harlem: Found Ways, the Cooper Gallery presents artistic visions and engagements specific to Harlem, New York City, in the last decades." 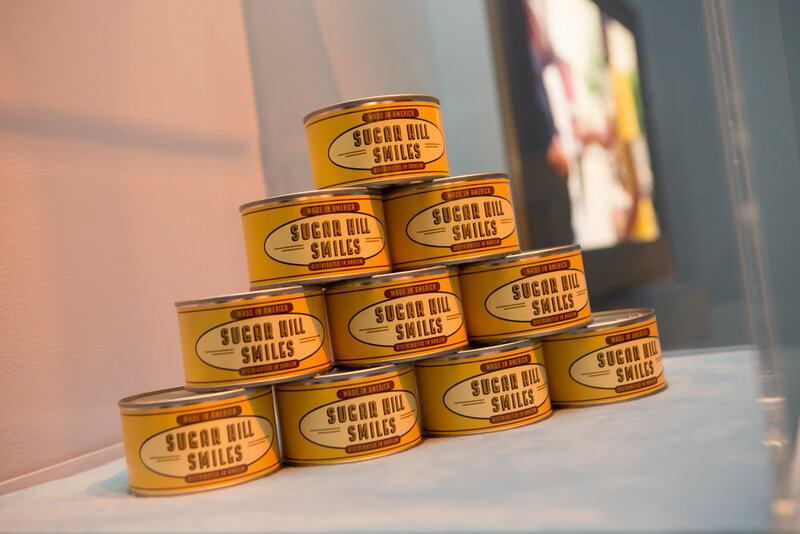 Each artwork employed a distinct set of inquiries and innovative strategies to explore the Harlem community’s visual heritage as it grapples with the challenges of gentrification. The artists found ways—urgent, complex, intense, and mindful—to present the tangled threads of dilemma and paradox, memory and memorial, beauty and poignancy, and also instances of disruption and resilience within Harlem’s new realities. Collectively, they offered deeply thoughtful reflections and provocative portrayals of Harlem, which allowed us to see it anew in this moment of transformation. 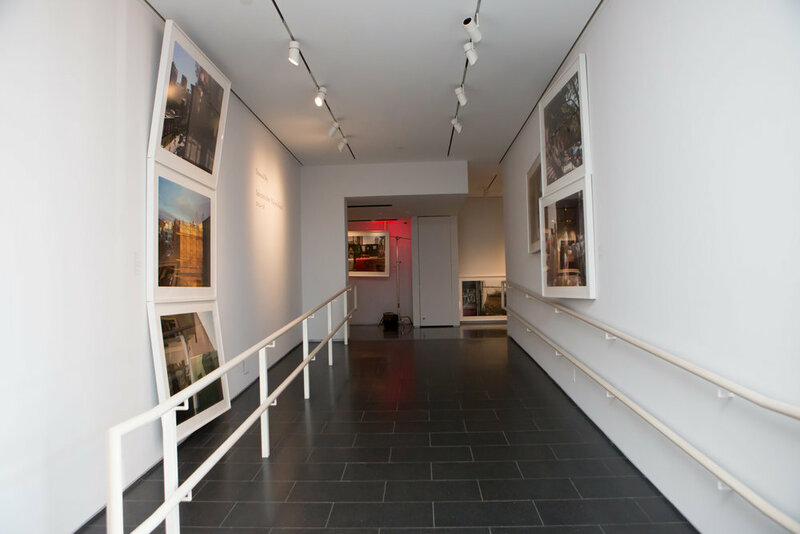 The artworks on view encompassed photography, mixed media, and installation, and were anchored by photographer Dawoud Bey’s two series: the iconic “Harlem, U.S.A.,” 1975–79 and his recent series of urban landscapes “Harlem Redux,” 2014–16. A selection of works by Abigail DeVille, Glenn Ligon, Howard Tangye, Nari Ward, and Kehinde Wiley expanded and defined various emergent issues in the temporal zone located between Bey’s two photographic essays. 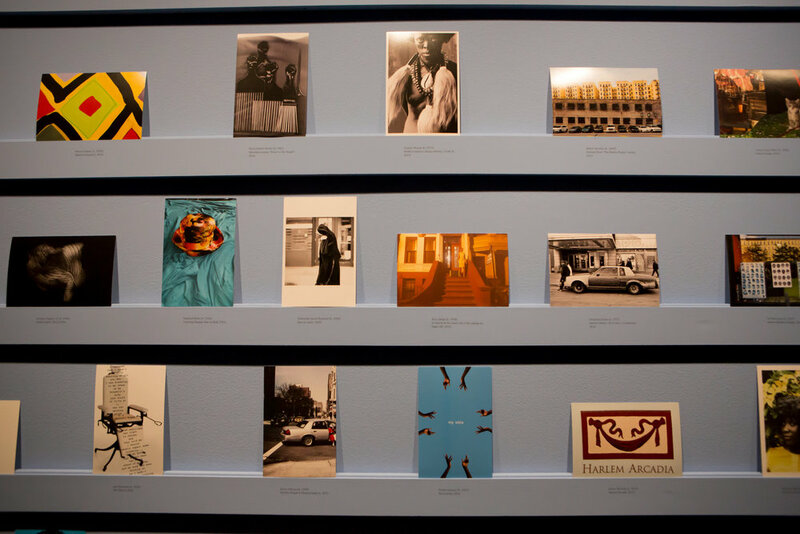 Harlem: Found Ways also featured a special installation of The Studio Museum in Harlem’s project Harlem Postcards, 2000–2017. Our galleries’ pathways twisted through these varying artistic perceptions and narratives of profound change. This exhibition was curated by Vera Ingrid Grant and featured works from the new Amar Gallery; Stephen Daiter; art2art; Michel Rein; Lehmann Maupin; Roberts & Tilton; collector Tom Peters; and The Studio Museum in Harlem.